A cancer diagnosis is one of the most frightening times in the life of our patients. They have many questions and a lot of overwhelming feelings: “What should I do?”, “What kind of treatments are there?”, “What will it be like?”, “Is there any hope?”. We always remember what our patients are going through. We understand the need to make them feel better physically but also emotionally. Our consultations always give as much time as our patients need. Hy Vong Cancer Care Centre (called also “Hy Vong”) is dedicated to providing the most up-to-date diagnosis, staging and treatment to our patients. Our diagnostic technologies show us quickly and accurately the extent or location of tumours and how fast our patients are progressing back to health. Our support services make treatments more comfortable, reduce side effects, and maximize effectiveness. Whether our patients are here for a consultation or treatment, they shouldn’t feel like a sick person. Our warm and contemporary setting is designed to maximize patient comfort with a great deal of consideration for safety and hygiene. Privacy and discretion are of paramount importance to us. By coming to us, you are armed with everything needed to fight your cancer. All we need from you is hope: simply by having faith, you will help to increase the efficacy of treatment. Think positive for a faster recovery! Hy Vong expert oncologists give our patients a detailed explanation of what is happening to them, what options they have for treatment and lots of time to answer questions. We value and respect our patients, their questions, their decisions and their time during this difficult period. For patients already under the care of another doctor who would like a second opinion about their diagnosis, treatment plan or prognosis, we provide confidential second opinions. Whether it’s a routine screening or confirmation of abnormal test results from another healthcare provider, one of the first steps will be to determine if our patients have cancer and if it has spread. In our initial consultation a personalized set of tests will be designed based on each patient’s medical history and lifestyle. This may include body fluid samples, a variety of body scans (CT-scanner, MRI, PET-scan, and bone scan), endoscopy and small tissue samples (biopsies). At Hy Vong, biopsies are performed using equipment that minimise invasiveness. Biopsies can be performed in the FV Hospital Imaging Department (guided by CT-scanner or ultrasound), in the endoscopy department or in the operating theatre by the surgeon. All tissue samples are sent to Hi-Tech, a state-of-the-art laboratory in Bangkok, Thailand. Hi-Tech has more than 40 top pathologists coming from the medical university, is equipped with the latest technology, and provides cutting edge immuno-histochemistry and molecular biology analysis. Reports are sent by mail within three to five days, depending on the complexity of the histopathology analysis. Molecular tests, sometimes performed to gain more information about how the tumour would respond to specific treatments, take a little longer. Staging is the process of determining the size of the cancer, its location and how much it may have spread, using the tumour-node-metastasis (TNM) classification. We use a set of tests adjusted to each patient and each type of cancer to ensure accurate staging which is essential to decide the treatment plan. 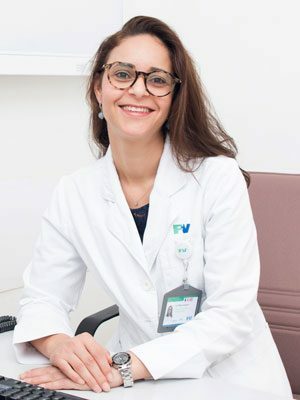 All cases are discussed in our weekly multi-disciplinary meeting attended by all the Hy Vong oncologists, along with radiologists and surgeons from a range of specialties. All treatments here begin with a practice called Evidence-Based Medicine. 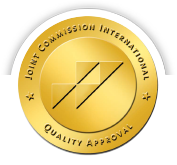 This means that our treatments are all based on methods that have been proven safe and effective by the world’s leading oncologists and medical institutions. The best treatment plan may include a combination of either surgery or radiotherapy plus chemotherapy. In addition, we offer every patient Personalized Medicine. This means that every patient’s treatment plan is designed specifically for them. This takes into account many variables including the stage of cancer, the individual’s medical history and personal preferences. Hy Vong’s team works closely with the FV Hospital’s French and Vietnamese surgeons. 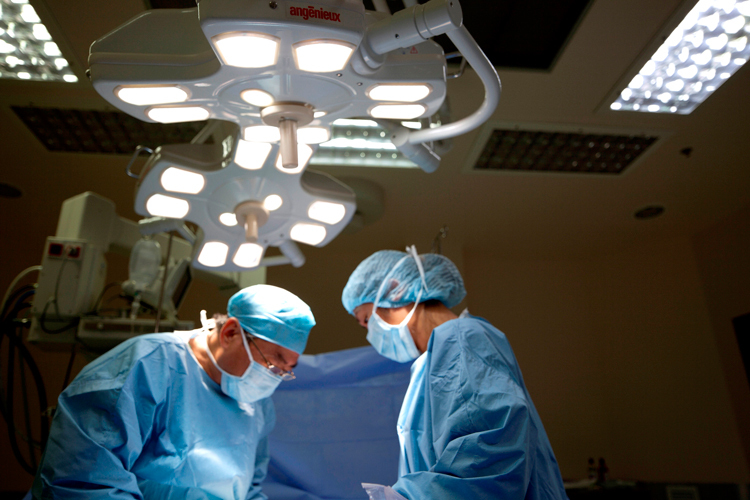 They are specialized in General Surgery, Gynaecology, ORL, Urology, and Maxillo-Facial Surgery. They have been trained to operate on all types of cancers using the latest surgical technologies. Also, over 50 “External Doctors” are allowed to operate at FV Hospital, some of them (“Associate Doctors”) are providing consultations at FV Hospital. All these doctors have been selected because of their expertise and their excellent reputation within the Vietnamese medical community. Chemotherapy can be administered orally, intravenously, or, often, via an implantable chamber to make treatments more comfortable, reduce side effects, and maximize effectiveness. In the two last cases, treatment is carried out in our dedicated chemotherapy day ward, equipped with amenities such as spacious armchairs, cable television and reading materials for your comfort. We use modern protocols including targeted therapy. All intra-venous infusions are prepared by a licensed pharmacist in a laminar flow sterile environment. 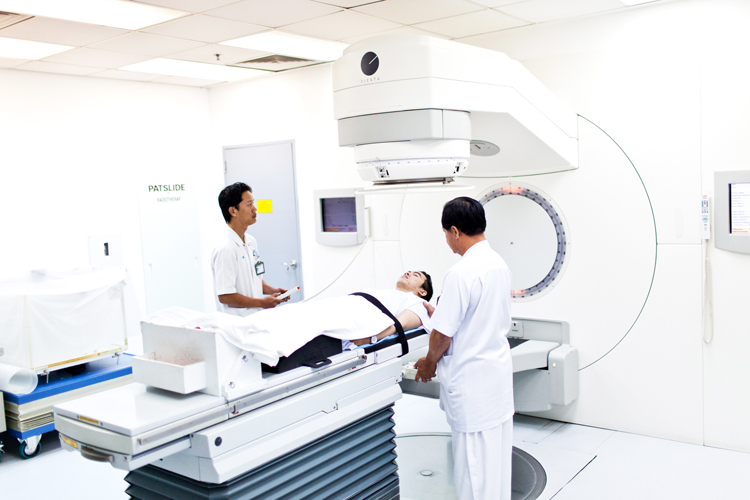 The aim of radiotherapy is to destroy the tumour without damaging surrounding healthy tissues. Radiation oncologists, medical physicists and therapeutic radiographers work alongside each other during the cancer treatment process to create an optimal radiation treatment. The process commences by defining exactly the area to be treated, the dose to be delivered and the number of radiotherapy sessions needed. At Hy Vong, we use a dedicated CT-scanner, equipped with the “LAP Laser System”, to establish the correct patient positioning for radiotherapy and to acquire the patient anatomical data. Then the tumour and organs at risk are contoured for defining their exact volumes and locations, what will allow the calculation of the correct radiation dosage and of the most appropriate radiation beams. This methodology allows us to protect surrounding tissues and healthy organs and dramatically reduces side-effects. Hy Vong is equipped with one of the most elaborated Treatment Planning System (Pinnacle 3D ADAC from Philips) to carry out this essential step allowing to target the tumour as effectively and safely as possible. This information is transferred online (avoiding thus human error) to the linear accelerator (Elekta Precise Digital Accelerator) which will deliver high-energy, dual modality radiation to the tumour. Healthy tissues and surrounding organs are further protected by “Low Melt Alloy Blocks” which are designed and realised specifically for each patient (basically they are physical protections), and by series of verifications using the iView GT Portal Imaging System which gives the actual image of the beam through the patient (if the patient is not positioned correctly the therapeutic radiographers will rectify the position to ensure an accurate radiation delivery). Besides, Hy Vong offers a variety of supportive care services to reduce side effects, maximize the effectiveness of the treatment and make the recovery more comfortable. Our nutrition specialist assist our patients in designing menus that will support and enhance the treatments they are receiving as well as ensure that they are getting full and proper food, vitamins and minerals for energy and recovery. A cancer diagnosis is one of the most traumatic events in a person’s life. Even as our patients take their steps on the road to recovery, they may have an easier time if they talk to a professional counsellor about anxieties, mood swings, close relationships and self-image during this time. Our clinical psychologist can support and help out our patients and their close relatives at all stages of the cancer treatment. For most patients one of the greatest fears is untreated pain. Left alone, many cancers can cause pain in places like the bones or abdomen. At Hy Vong, we strongly believe it is always better to prevent pain rather than wait for its arrival. And for those patients who experience pain, we offer comprehensive pain management services. We utilize standard pain treatment programs and also embrace complementary therapies that can reduce and eliminate pain. The sooner pain is resolved the faster patients can recover and get back to living their life to the fullest. For a variety of personal, medical, and often religious reasons, some patients or families may prefer or require palliative care. This approach which often avoids traditional chemotherapy is designed to enhance comfort and dignity near the end of life. For these situations, we offer caring and compassionate professionals, experienced in end-of-life issues and total family care.